Chatbots answer customer enquiries, vehicles drive autonomously and the refrigerator orders groceries on time: there's no question that automated systems are gradually conquering everyday life. But how far is it before robots become familiar, perhaps even valued employees? And how do these systems change intralogistics? A recent study has been devoted to such questions. 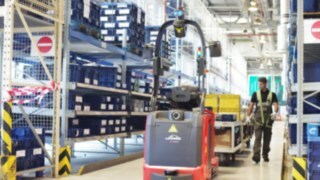 On behalf of the Robotics for-Retail (R4R) initiative and for the white paper "Robotics4Retail - Status quo, Potentials and Challenges", the EHI Retail Institute interviewed decision-makers from retail companies about their experiences, hopes and fears regarding the use of robotics and automation in intralogistics. 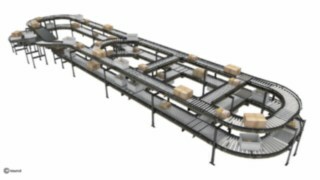 The conveyor belt is the epitome of an automation solution without artificial intelligence. Increasing competition, new opportunities thanks to digitization, the desire to make work easier for employees, but also the need for higher employee availability have increased interest in automation and robotics, especially in the consumer goods trade. 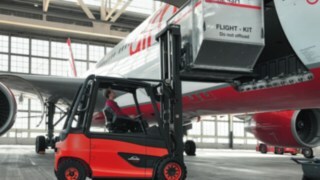 Linde Material Handling already offers a whole range of automation and robotics solutions for intralogistics. This enables cost-efficient automation of individual process steps up to complex material flows. Almost one-third of those interviewed described automation as a more consistent, standardised and permanently repeating process, such as material flow with conveyor belts or other aids. Robotics begin where complex, changing processes are involved and "intelligent" reactions to changed ambient situations are required. 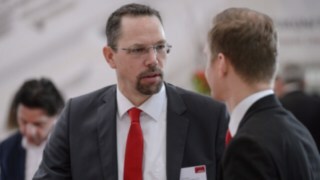 In practice, the distinction between automation and robotics is usually not as sharp as the example of Wolf GmbH shows. 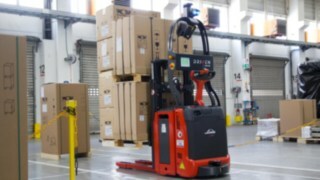 The systems provider for heating, ventilation, air-conditioning and solar technology uses an automated industrial truck from Linde for recurring transport tasks. 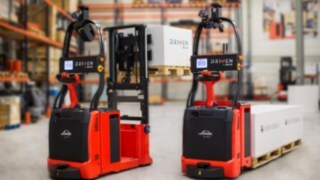 The vehicle uses geonavigation to move palletized finished goods along previously learned routes. However, the MATIC vehicles are equipped with navigation lasers, a 3D camera and visual and acoustic warning devices. This allows obstacles to be detected in real time. A crucial prerequisite for intelligently working with other people or vehicles in the same environment. According to the survey, the retail sector uses automation in intralogistics for almost all process steps: During storage and transfer of goods - usually in fully automated high-bay storage, internal transport, order picking and also for palletising processes. In addition, there are tasks such as automated packaging for shipping or label gluing. 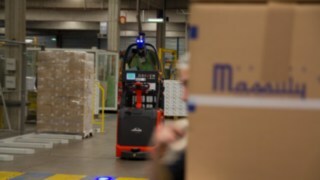 The retailers are currently using intelligent robotics in the narrower sense of the word primarily for greater flexibility and to cope with order peaks, for example in order picking, as well as for internal transport. 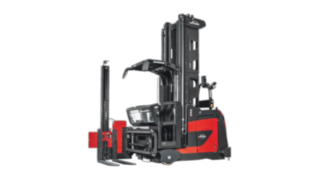 With the MATIC vehicles, Linde offers solutions for a whole range of the above-mentioned applications - and also for other applications. 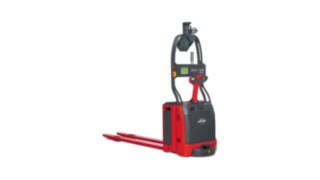 The autonomous P-MATIC electric tow tractor from Linde Material Handling transports loads of up to 5000 kilograms without a driver. 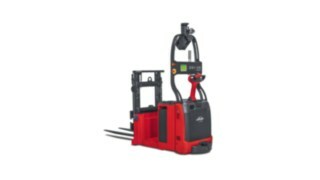 Strong counterbalancing: The L-MATIC AC autonomous pallet stacker from Linde Material Handling lifts and transports closed pallets without a driver. 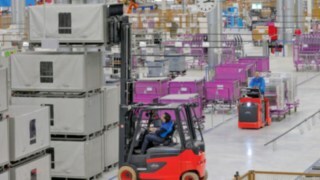 The extent to which automation of the material flow is already possible is demonstrated by the parent plant of the French metal packaging manufacturer Massilly in Cluny: a palletizing machine picks up boxes of finished products and assembles the pallets. Next door, an automated Linde stacker is waiting for its deployment. 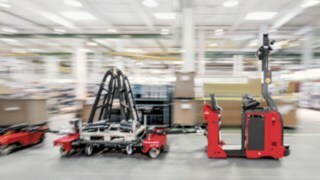 As soon as the robot arm has completed a pallet, the Linde L-MATIC automatically clears the exit of the palletizer, picks up the pallet and places it a few metres away on an automatic film wrapping machine. From there, the L-MATIC picks up the pallet again and drives it to the entrance of the high-bay warehouse. Only here do forklift drivers pick up the pallets and store them. The longest possible battery life is particularly important to the retailers surveyed. After all, the systems can only take advantage of their advantages if they are available as continuously as possible. In the interview, for example, fuel cells were mentioned here as an option. 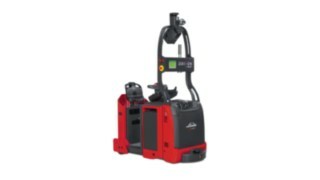 An innovative energy system available for numerous Linde industrial trucks. In addition, the dealers also attached great importance to high load-bearing capacity and low error susceptibility, as well as interface compatibility and the desire for modular systems. Considerations on robotics and its use in the retail sector are a very new phenomenon. The retailer survey was therefore conducted in the form of personal and unsupported interviews. This made it possible to grasp all the arguments and their backgrounds and to gain many new insights during the course of the study. A total of around 30 retailers were interviewed for 1 to 2 hours each. In 2016, the companies surveyed generated sales of 148 billion euros and represent about 32,000 stores. 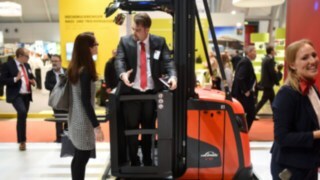 Linde electric forklifts and tractors with fuel cells - hydrogen technology increases vehicle availability. 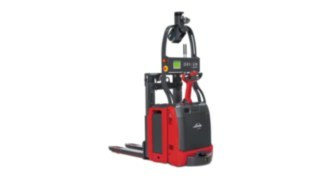 Cost-effective and safe: The Linde Material Handling MATIC series of autonomous forklift trucks use geo-navigation technology. Every year, the Marketing Department and Management Board of Wolf GmbH, a systems supplier for heating, ventilation, air-conditioning and solar technology based in Mainburg, Lower Bavaria, develop a motto that aims to give employees orientation and motivation. “Courage to embrace change”, the message for 2016, could not be more appropriate with regard to the purchase of the company’s first robot industrial truck. Simple does not always mean trivial: proof of this is the automation project of Linde Material Handling for BASF Italia. 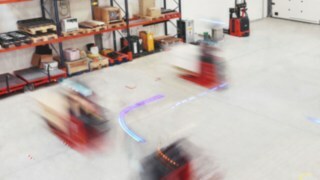 In order to optimize efficiency and safety, a flexible, secure and fast-to-implement solution for Logistics 4.0 was integrated on the basis of an automated guided vehicle (AGV). Automation solutions from Linde can be deployed flexibly and in a scaleable manner – in order to automatically handle either individual steps in a process, or complex material flows. Ground handling is a challenge for airport logistics. The demands on industrial trucks and logistics solutions are correspondingly high. Demand is for robust vehicles that enable fast and safe handling and are increasingly focusing on alternative drive systems. The Opel plant in Aspern, Austria, is the first Opel location to commission fully automatic vehicles for longer distances. 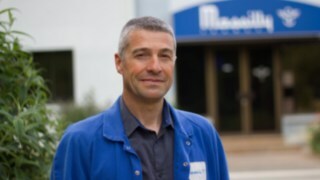 In doing so, the carmaker relies entirely on Linde's expertise. The challenge was to integrate autonomous driving into the existing systems.